Tell us where your party is and we'll deliver the fun! A family company. Founded by Jim and Denise Coffey, and later joined by Sal Longo, Busy Bee Jumpers has been dedicated to event rentals for over seventeen years. We hope we're invited to your next event. 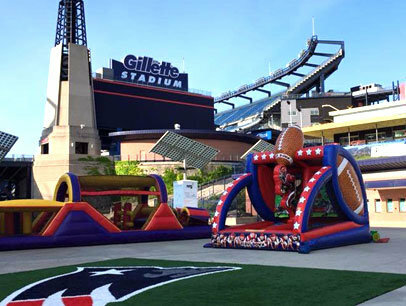 From moonwalks, bounce houses, obstacle courses, water inflatables and interactives to tents, tables, chairs and fun food machines we've got it all to ensure your event is one to remember.